Party punch is the way to go for festive get-togethers. For Halloween, cider is my favorite, but I typically drink it hot. This recipe would be good either way! 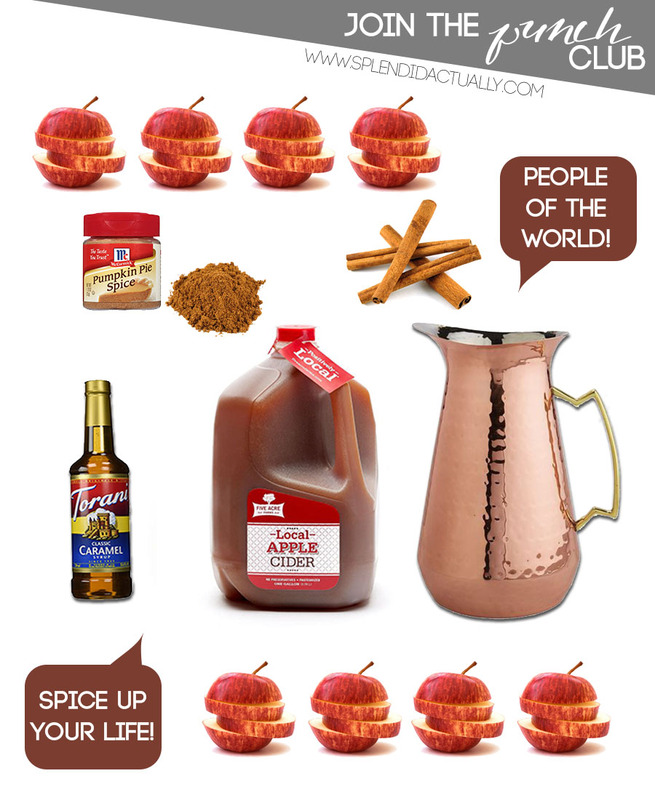 If you fancy it cold, combine everything in a pitcher including some of the apple slices and a couple cinnamon sticks. Use the rest to dress your glasses how you like. For a hot drink, I like to put mine in the crockpot for one hour on high prior to the party, then put it on warm. Double or triple the recipe as needed. This sounds delicious! Definitely going to try this out!